Guyana native, Floy Jarvice Riley, wants everyone to feel confidant and beautiful. In college, my esthetician was my confidante. Grooming my full, thick eyebrows—which sadly I hadn’t yet appreciated—became an obsession from age 13, so to avoid going pluck-happy in between driving home for holidays, I had to find a salon I trusted. Thank goodness for Jessica. I laid on the same spa table every three weeks for three years. The appointment often lasted longer than the scheduled 15 minutes: we gossiped and caught up. She assessed my brows to make sure they weren’t thinning; it’s how she could tell if my health issues flared. We cried together after her miscarriage. She hugged me tightly when I landed internships. I felt refreshed and confident. I’m pretty sure I would strut out of there. 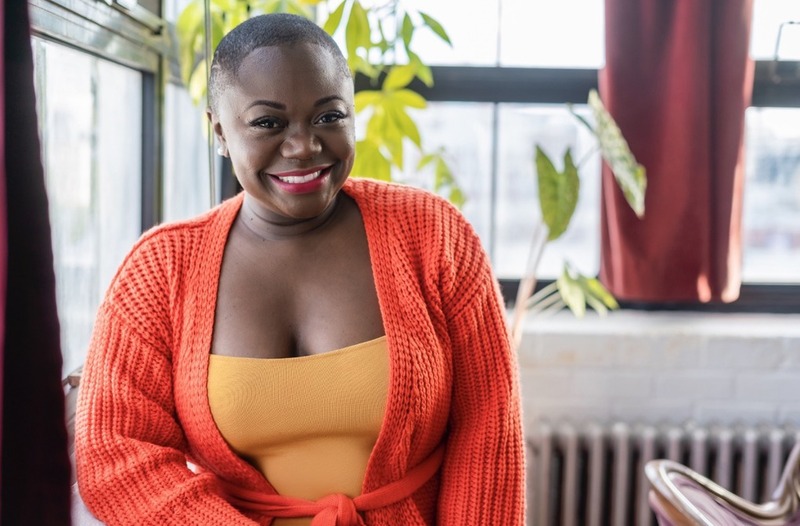 This is the kind of story that jazzes up Floy Jarvice Riley, owner of Licorice NYC, a beauty bar in the heart of Bushwick. We’re busy, we’re hustling, and the salon is our bit of zen. But also there’s always that thing we’re self-conscious about. 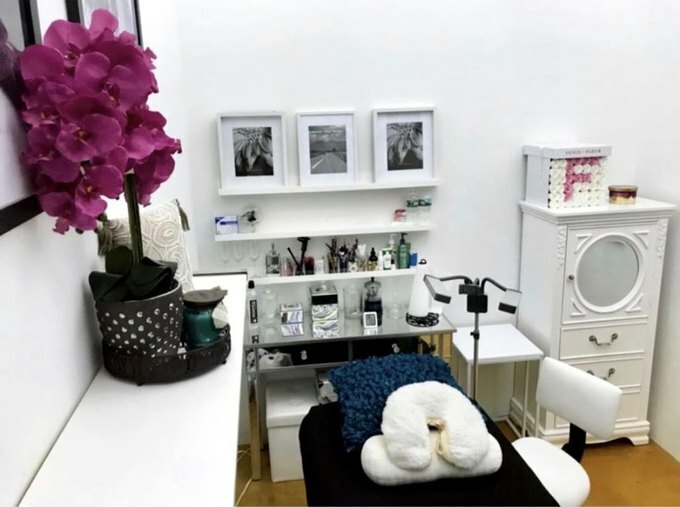 If you visit her cozy private studio inside New York Studio Factory, Studio 32 at 2 Saint Nicholas Avenue, you’ve found a moment for self-care, to work on the qualm that is mostly likely your eyelashes or your eyebrows. Licorice opened three years ago, in April 2016, as a eyelash extension studio. It’s niche, and that’s what she wanted: to find the next big thing in beauty to help people feel great about themselves. Which is wholly possible with a set of luscious lashes to bat. Riley first got her lashes done in 2013, mostly in protest of mascara. She hates it: the water-based is too runny, and the waterproof ones just don’t come off. When you wake up, there’s film somewhere around your eye, and to maintain flawless skin such as hers (“I try,” she said), that won’t do. So she got hooked. She added microblading, a semi-permanent treatment where hair-like strokes are drawn to mimic the natural hairs, in 2017. Everyone was going crazy for it, celebrities like Lena Dunham shared their love for it around that time. The permanent makeup industry started growing among a younger crowd. They’re also wonderful services for cancer survivors who lost their hair from chemotherapy or for those with alopecia, a medical condition that causes hair to fall out. She fills clients’ lashes with individual lashes, not a strip, unlike most nail salons, which tend to put weave glue on the cluster of hair. The clusters bind the lashes, so when it’s time to remove them, the true lashes get pulled out. Lash extensions at Licorice can last four to six weeks, and it’s like getting your nails done, Riley said, a regular keep-up. Eyebrows and lashes by Licorice NYC. Hers are extra long, nearly grazing her glasses. The clear frames compliment her chic look: on a recent windy evening, she wore a denim jumpsuit, leather jacket and wide-brim hat. She added some height to her 5-foot-2 frame with white platform sneakers, and her fuschia-painted lips and red nails were a dead giveaway of her penchant for beauty. 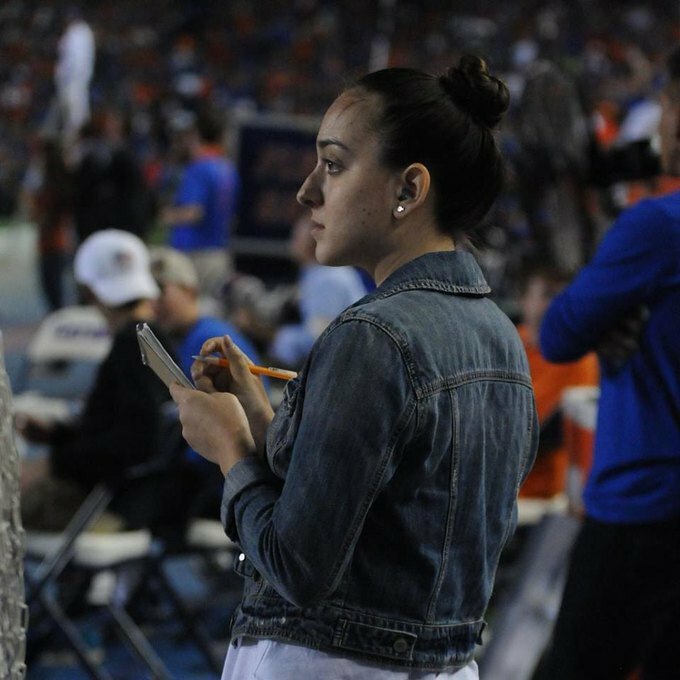 While it was always her passion, and she dreamed of opening a studio for years, the 36-year-old didn’t enter the industry until 2015, after she quit her job as a private-client banker with Chase. “I was suppose to do this a long time ago,” she admitted, but life got in the way. Or, as she puts it, she “pussyfooted” on the idea of opening a place out of her garage when she was 26 and living in Memphis, Tennessee, where she got her graduate degree, moved in with a boyfriend, and had a son, who is now nine. 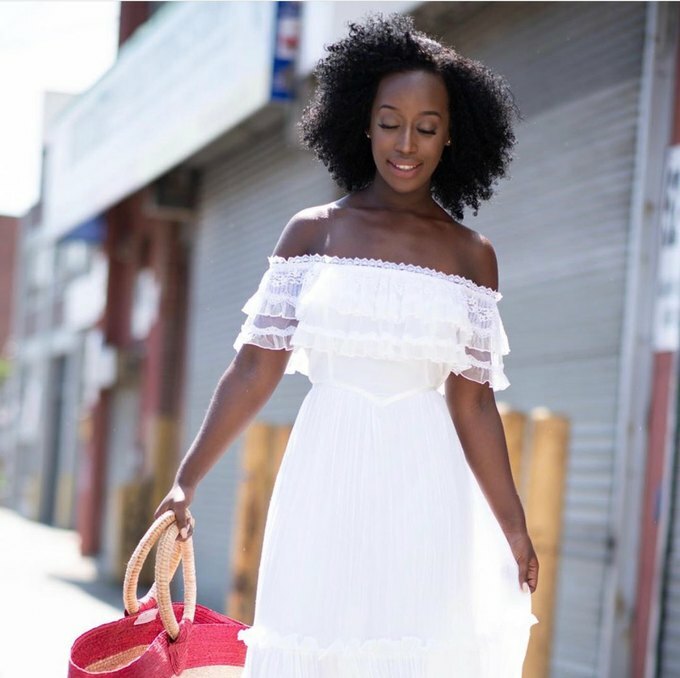 Originally from Guyana, a country on South America’s North Atlantic coast, Riley moved to Brooklyn with her family she was seven. 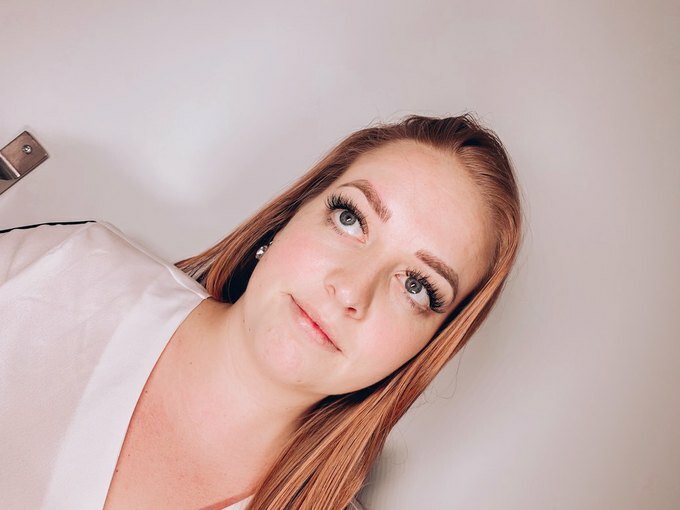 She majored in biology and chemistry with a dream of becoming a dentist — while she didn’t go through with it (“I might [go back], you never know.”), it made studying fun and easy during the packed, intensive esthetician course she started the week after she left banking. She moved into the building before the area, right by the Jefferson J train, was fully developed. There were some dark days, waiting in her studio—chic and minimalist in nearly all white, aside from the mural of swirling pinks and purples on the back wall—for customers to walk in, for everything to work out. She started getting business by word-of-mouth and working the ground. Her father, her best friend, her sister, her son, they all spent time passing out flyers. And when the Bushwick Collective block party was in full swing, she ran outside and threw around those flyers, finding clients in passersby. Riley is projecting and praying that she’ll open her own store front next year, and hopes she can stay in Bushwick, as she doesn’t want to leave the area. Being surrounded by art and culture, by so much diversity, brings out her creative side. And it’s an easy drive from Canarsie, where she lives with her son, husband and her younger brother, who she adopted. “There's a purpose for everything in your life,” she said, and hers was to help help people chill out. There’s calm music that lulls many to sleep during appointments, which is not only fine but encouraged, and feel a little better about themselves. As I learned in college, feeling taken care of is important—it’s your face we’re talking about! All photos courtesy of Licorice NYC.